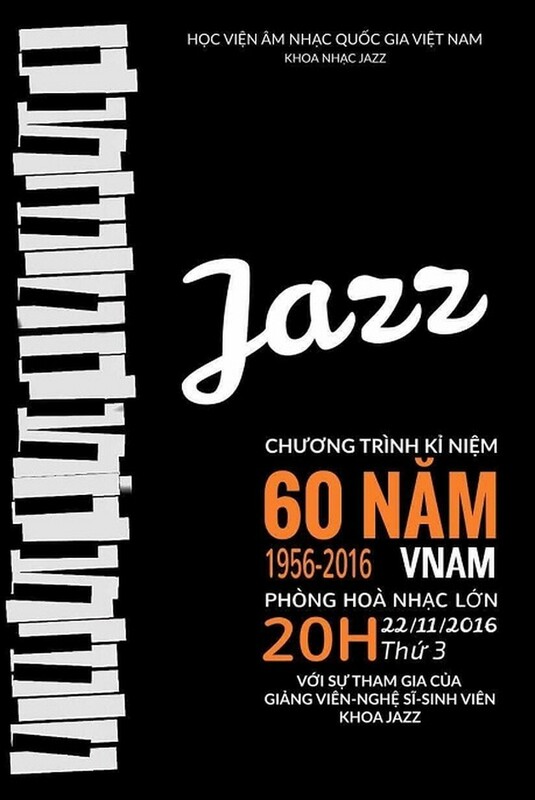 A jazz concert celebrating the 60th anniversary of Vietnam National Academy of Music will be organized at its Grand Concert Hall in Hanoi on November 22. Lectures and students from the Jazz department of the Vietnam National Academy of Music will join the performance. In addition, a symphony concert will also take place at the Grand Concert Hall on November 25 to mark the 60th anniversary of the establishment of Vietnam National Academy of Music. The performance features musicians and artists from the Vietnam National Academy of Music, Vietnam National Symphony Orchestra, Vietnam National Opera Ballet Orchestra, Ho Chi Minh City Ballet Symphony Orchestra.